The Men's Ministries facilitate gatherings of men, to care for, work, and grow together as one in Christ. Men's breakfast fellowships are held quarterly and conferences are scheduled annually. 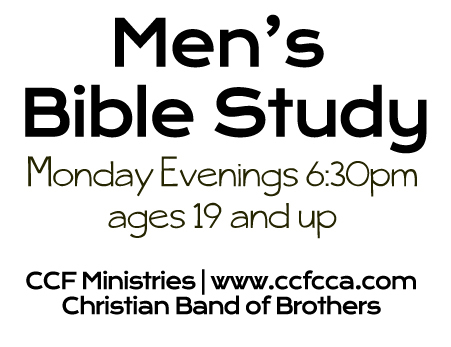 Men also meet each Monday evening at 6:30PM for a Bible Study and to discuss issues specific to men. Ages 19 + welcome!